Carol has been a consistent top agent, with over $200 million sold/closed! She was trained by some of the best instructors from Dale Carnegie - her passion is real estate. 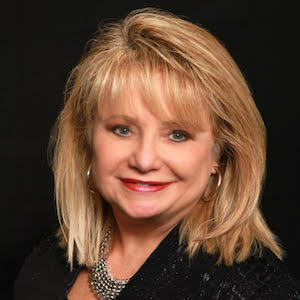 Carol's 25+ years of real estate management, recruiting, marketing, listing, selling and mortgage experience provide the background necessary to achieve the desired results for you. Her focus is the North Shore and Northwest suburbs of Chicago, including Deer Park, Barrington, Inverness, Arlington Heights, Deerfield, Winnetka, and Northbrook to name a few towns. She lists and sells single family homes, townhomes, condos and high-end properties. Carol’s prior employers were International Fortune 200 corporations, working with C-level executives, which enhances her level of decorum and corporate culture, marketing strategy, professional ethics, persuasive skills, efficiency and honesty. She will utilize her seasoned professionals when necessary, which includes custom staging ideas utilizing your possessions. Bottom line: if your home hasn’t sold, you may have chosen the wrong Realtor or brokerage. Your expired or canceled listing is no longer a secret - everything is online these days. Carol is your ‘go-to’ agent if you are frustrated with the current lack-of-results! She has been the 2nd, 3rd, and even 4th agent to list a property - she gets the job done! Negotiation Benefits: Carol obtained her MCNE & CIPS certifications to more successfully negotiate contracts at a much higher level, on behalf of her buyers & sellers. It is imperative to understand how other cultures negotiate, in order to achieve a successful outcome for both parties.